Cupertino: Apple unveiled a range of new products on Monday morning, moving away from hardware and gadgets towards digital services such as TV streaming and mobile payments, as it attempts to write a new chapter in its history. The largest technology company in the world announced its long-awaited TV streaming service, Apple TV+, that it hopes will compete with the likes of Netflix and Amazon Prime. 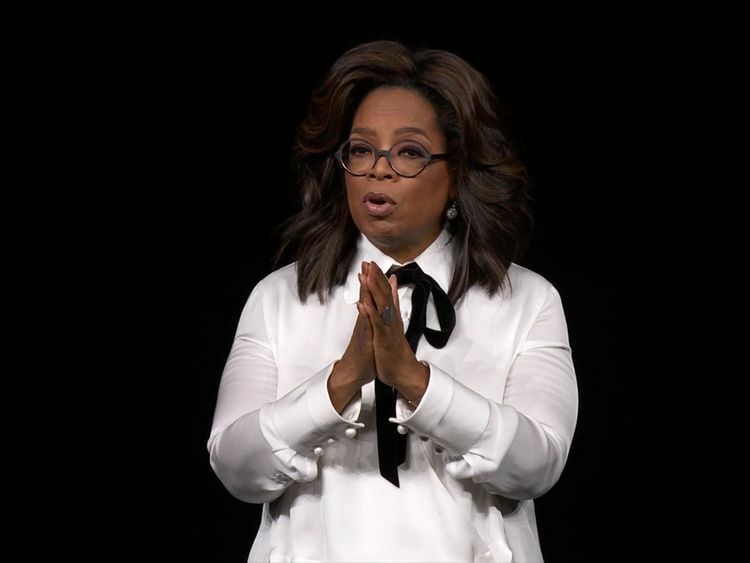 Celebrities such as Steven Spielberg, Steve Carell, Oprah Winfrey, and Jennifer Anniston appeared on stage to launch new TV shows in partnership with Apple. The company is reportedly spending $1 billion (Dh3.67 billion) on developing original content for the new platform. Free of adverts, Apple TV+ will be a subscription service that is set to launch globally this autumn. The company has yet to announce the price of the service. “They’re in a billion products,” said Winfrey, underscoring the strength that Apple hopes will see it leapfrog more established rivals: A base of at least 1.4 billion active Apple devices. Apple TV+ will appear on the Apple TV platform, which also received a revamp. Now, users will be able to access the likes of HBO, Starz, and Showtime from Apple TV, aggregating a number of streaming and cable services in to one place. Earlier on at the event, Apple CEO Tim Cook launched a number of other “world-class services”, including a new premium news service, priced at $9.99 a month, that will curate journalism from a number of sources. Apple has lured over 300 magazines to join the platform, including Time and National Geographic. “No one has made digital magazines as gorgeous as this,” said Roger Rosner, Apple’s chief of apps, who appeared on stage. In partnership with investment bank Goldman Sachs, the technology company also unveiled its new credit card service, Apple Card. The service, which will form part of the Apple Pay product, will allow users to track spending habits and payments by category, such as food, entertainment, and travel. It will also help users to manage their credit card payments. Apple Card will launch in the US this summer, with no additional details on any global roll-out for now. Apple Arcade, a mobile gaming subscription service, was also unveiled on Monday, and will appear on the App Store soon. Investors did not seemed moved by Apple’s celebrity-laden launch. Apple’s stock price, which opened the day at $191.51 a share, was down to $187.65 by 3pm EST, a drop of 1.87 per cent.